This ecological business centre is located in the in the heart of the Chateau Rouge Business Park. The offices are located on the first floor and offers fully furnished offices and co-working space. You're also supported by a friendly on-site admin team, this multilingual team can assist with any queries you have including; telephone answering, mail handling and greeting your clients. If you're looking to host a business meeting you can make us of the on-site meeting rooms. 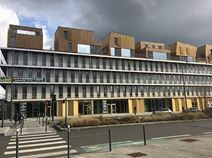 Only 300m from the metro station, Porte de Valenciennes, this centre is located within a modern Class A building in the Euralille neighbourhood. This space offers fully furnished, serviced office space with both private and co-working areas. These flexible turnkey solutions offer excellent facilities that will enable your business to flourish and grow, such as a range of support services, complementary beverages, training and meeting rooms, copy/printing facilities, and even 24 hour access. 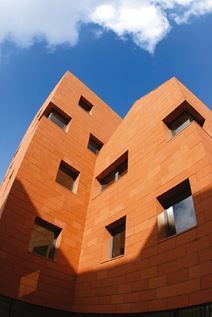 This modern, A class building is found in the new business area of Porte de Valenciennes in the city of Lille. The centre is spread across 1 floor of the multiservice building which also contains boutiques, restaurants and bank branches. Parking space is available on-site to make your drive to work as easy as possible. Alternatively there are plenty of transport links to help your commute. A friendly on-site management team is available to help with administrative and secretarial tasks such as telephone answering, reception services and mail handling. A contemporary, purpose-built centre with stylish reception area and meeting rooms, cutting-edge technology and full servicing. Leaseholders have use of furnished offices which are a short walk from Gare Lille Europe station and surrounded by restaurants, cafés and bars. This town, steeped in history, has a cultured community that also enjoys an Opera House, several arts galleries and shopping centres, all just within 10 minutes of the space. At the heart of Lille's economic and cultural activity, this grand Flemish-style building provides comfortably furnished and spacious offices with beautiful views of the Grand Place. Equipped with all modern amenities, this centre also offers a reception area, meeting room and high speed internet access. The friendly and attentive onsite team accompany you every step of the way with tailor-made services. Strategically located in the heart of Lille between the historic and commercial centre and the Eurallile business district this modern and flexible workspace offers ready-to-use offices and meeting rooms, supported by on-site staff and reception services. There is also reception services and shared internet. Just 300m from the Eurostar station. Just 10 minutes away, you can find La Vieille Bourse and Le Nouveau Siècle- an auditorium. Found in a great area of Lille, this business centre boasts a range of impressive options including private offices, coworking options and meeting rooms. Work spaces come fully equipped with everything you need to ensure your day runs smoothly. The centre offers flexible terms so you can benefit from a stunning professional work spaces without a huge investment. With 24 hour access you can work at your own pace and around the clock. The main train station is found nearby, giving you access to rail, metro and bus services. A stunning modern building with high specification facilities and a range of beautifully furnished offices and meeting rooms. A combination of shared space or smaller private rooms is available with car parking on-site. It is situated just opposite Lille Flandres station which provides national services as well as fast routes to popular business destinations such as London and Brussels. Within walking distance, there is a great selection of restaurants to explore, as well as an Opera House. 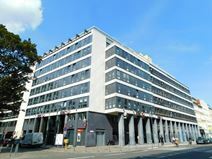 An impressive centre situated in the centre of Lille, providing a range of furnished offices available on flexible terms. Tenants can make use of the high-speed internet, conferencing facilities and useful meeting rooms for collaborative purposes. In addition, the area is home to plenty of local amenities including restaurants, hotels, bars and theatres. Transport links are also numerous, providing convenient travel around the city and wider regions.